Sparta is a village in Kent County in the U.S. state of Michigan. The population was 4,140 at the 2010 census. The village resides in Sparta Township. 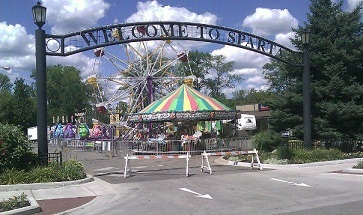 Sparta is located just north of Grand Rapids on M-37 with a Village population at 4,100 residents. Sparta offers a large range of recreation and activities to enjoy throughout the year. Weekly throughout the summer, there are many family friendly activities including the Sparta Farmers Market on Wednesday’s, the Community Concerts in Rogers Park. There are fun festivals such as Town & Country Days, Harvest on the Ridge, and many more.